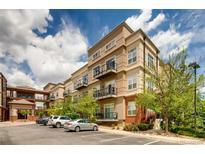 Below you can view all the condos for sale in the Village Lofts subdivision located in Greenwood Village Colorado. 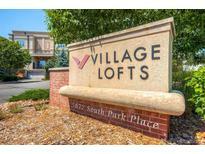 Listings in Village Lofts are updated daily from data we receive from the Denver multiple listing service. To learn more about any of these condos or to receive custom notifications when a new property is listed for sale in Village Lofts, give us a call at 720-580-6828. Complex is pet friendly! Welcome home! MLS#8429314. Keller Williams DTC. The ultimate in low maintenance living - just move right in! MLS#3489067. Madison & Company Properties. You’ll love living, working, and playing here! MLS#7027482. Greenwood Estates Realty LLC. Each unit has a gas line for your Barbeque grill! MLS#6713041. RE/MAX Professionals. Breakfast bar, Gas fireplace, wood flooring, Stainless appliances, custom lighting, as well as a large balcony complete this upscale loft type living. Newer AC/Furnace and windows! MLS#9959688. KENTWOOD REAL ESTATE DTC, LLC.